* The final tour date is not yet set, but you can already pre-enroll for the tour. The tour will take place around this timeframe and as soon as the date is final, we will contact you. The tour fee should be a good indication of what to expect and is awaiting confirmation closer to date. Tigers in Africa? Yes. 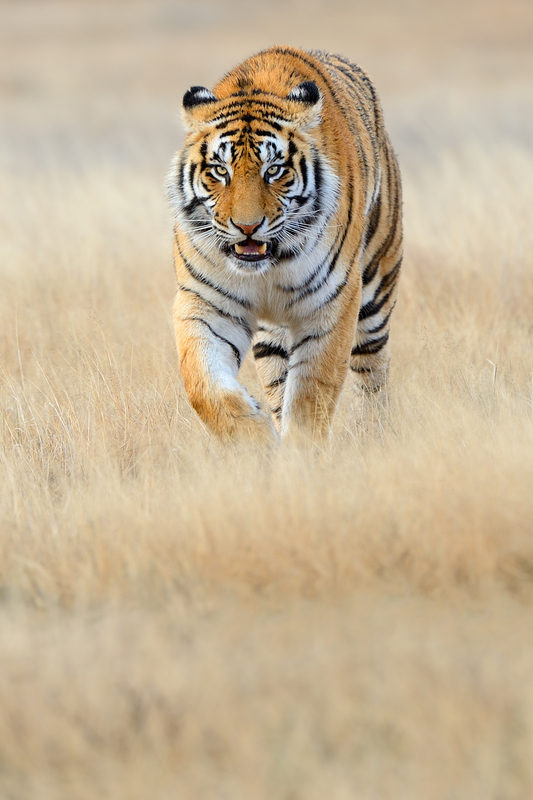 The tiger is highly endangered, and Asia is struggling to keep the numbers from dropping even further. Bad for the tiger, and bad for photography – tiger safaris in India can be pretty frustrating. On this tour we will take you to a revolutionary tiger sanctuary where tigers roam free in stunning scenery. 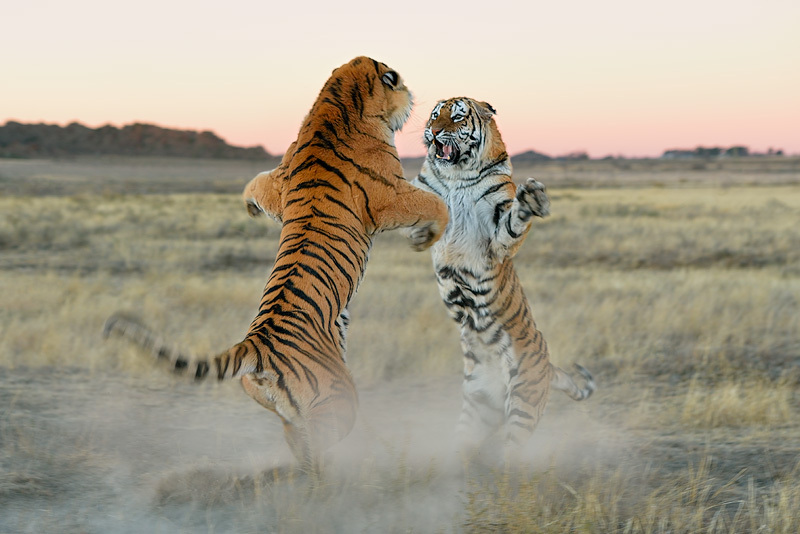 You are virtually guaranteed to see tigers on every drive, and you can photograph their natural behavior in various surroundings; hunting, playing, relaxing, and even swimming. 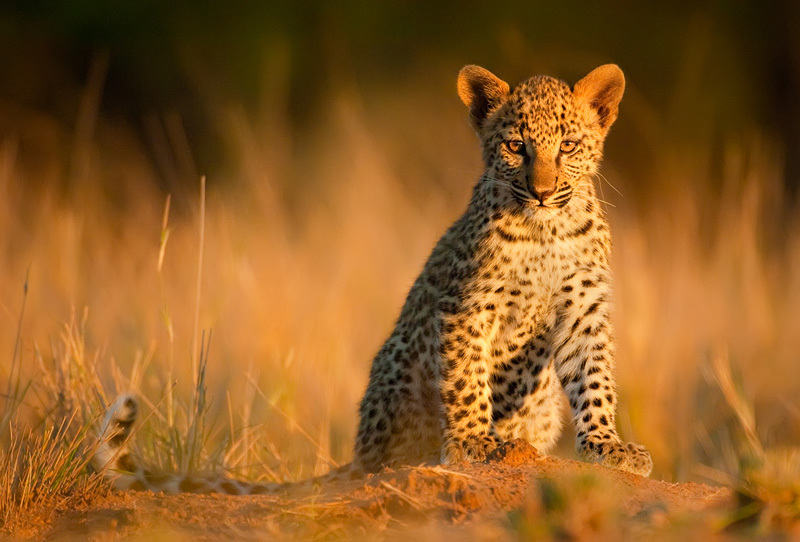 After that we’ll take you to Sabi Sand, the best place in the world to photograph the elusive leopard. We may also encounter lion, elephant, rhino and buffalo here as well! 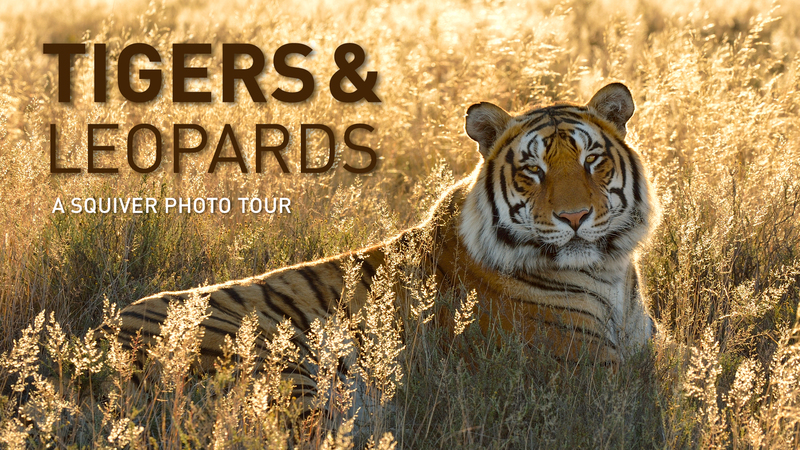 This tour offers you unique opportunities to photograph tigers and leopards in the best photographic conditions possible. We travel in a very small group and use private vehicles where you have your own row of seats. Tiger, leopard, lion, cheetah, elephant, rhino, buffalo, hippo, hyena, jackal, wild dog, zebra, giraffe, impala, wildebeest, baboon, kudu. Pleasant during the day (15ºC to 20ºC) with cold nights (-5ºC to 10ºC). In Johannesburg we stay at a luxury hotel. At the tiger sanctuary we stay in a luxury lodge located within the tiger reserve. In Sabi Sands we stay in Londolozi, one of the most exclusive lodges in the park. However, the beautiful lodge, gorgeous rooms and delicious food is not the reason we stay here… Londolozi simply offers the best photographic opportunities to get spectacular leopards shots. 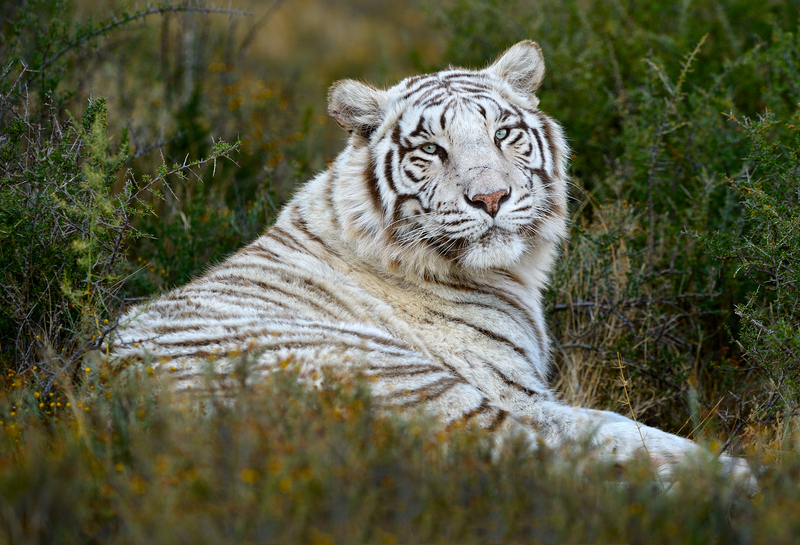 Tigers are indigenous to Asia and there are many companies that offer photo tours to India, where they visit parks like Bandhavgarh and Ranthambore. But chances of you actually seeing a tiger are small, and seeing one in good photography conditions are even smaller. 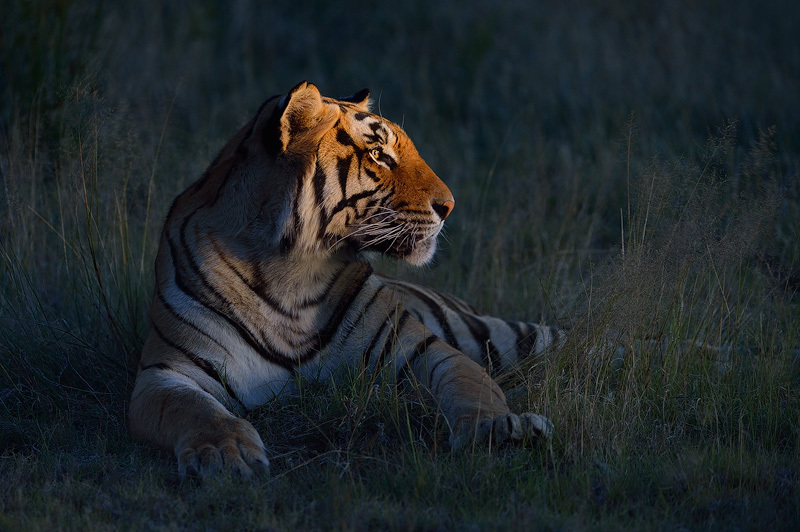 Unfortunately, chances of seeing a tiger in the wild are diminishing further every year, as tiger conservation on the Asian continent does not seem to be very successful. Numbers are decreasing rapidly and necessary measures, like properly fencing the national parks, are not taken. From my own experience I can tell you how frustrating it can be to photograph tigers. Early 2012 I was on assignment for National Geographic Traveler in Bandhavgarh and Ranthambore. I was there for a week to shoot for an article on tiger safaris, and only on my very last game drive did we see a tiger. One tiger. After sunset. On the road. Hardly the ideal conditions for a good shot. This has always been the main reason we have never organized a tiger photography tour before – you simply can’t promise good tiger sightings in those parks if you have only limited time. Another reason is that the famous tiger parks are overcrowded with tourists and vehicles, and that you have to be extremely lucky to be in a good position for photography when you arrive at a sighting. Been there, done that. A few years ago we met John Varty, also known as JV. A man who has been wild about big cats most of his life. He came up with a highly controversial plan to do something about tiger conservation. His idea was to create a free-ranging, self-sustaining tiger population outside Asia. In South Africa, to be precise. In the beginning he was criticized by conservationists, who questioned the value of what he was doing, but he hung on and continued to work with his two original tigers that came from a zoo in the USA. Two additional captive bred tigers were added to the mix and were rehabilitated to the wild, and soon the first litters were born. The sanctuary offers us a unique view into the life of the tiger. As the tigers are used to vehicles, we will be able to see them up close in the African landscape, allowing us to make stunning pictures of these beautiful big cats. And there will be no other tourists, just our group. You are virtually guaranteed to see tigers on every drive. There are lots of open areas and we are allowed to drive off-road (landscape permitting) to follow a tiger when we find one. The landscape is beautiful and very diverse. There are open plains, hills, rocks, reeds, small streams and ponds. 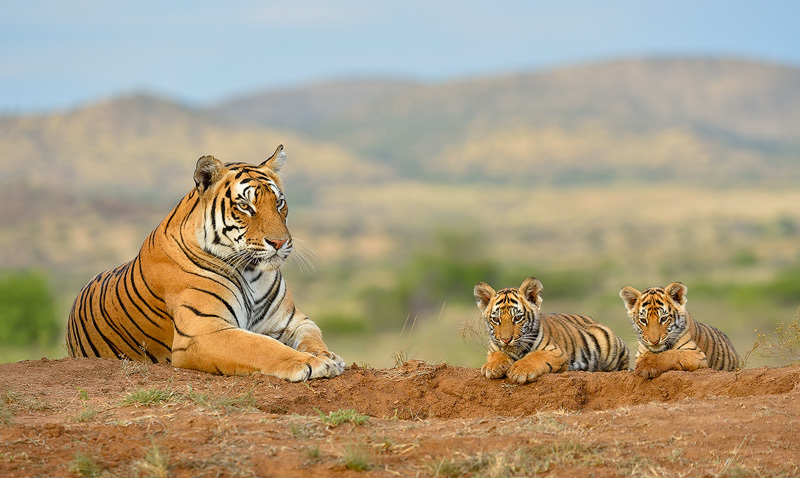 This offers us the opportunity to photograph tigers in all kinds of surroundings and situations: walking, hunting, playing, relaxing, sun bathing, jumping and swimming. The Sabi Sand Game Reserve is a collection of private game reserves that share unfenced borders with each other and Kruger NP. This allows the free movement of wildlife over more than 2 million hectares of pristine bush. We stay at Londolozi, one of the most exclusive lodges in the park. You will experience exceptional cuisine and the very best game viewing with some of Africa’s finest rangers and trackers. But the main reason for choosing Londolozi for our leopard tour is because of the photographic opportunities it has to offer: if you want to get good images of leopards, it just does not get any better than this! We have 2 private vehicles for our group, where you will each have your own row of seats. This allows you to move freely from side to side in the car, with ample room for your gear, and without being bothered by someone sitting next to you, blocking your view. With over 16,000 hectares of traversing wilderness, no two game drives are ever the same. Trackers sit up at the front of the Land Rover looking for fresh animal tracks, while rangers drive with great skill through ravines and thickets in pursuit of elusive animals. Although the focus of this trip is on leopards, we are a Big Five area, so you may expect to encounter lion, rhino, buffalo and elephant as well. 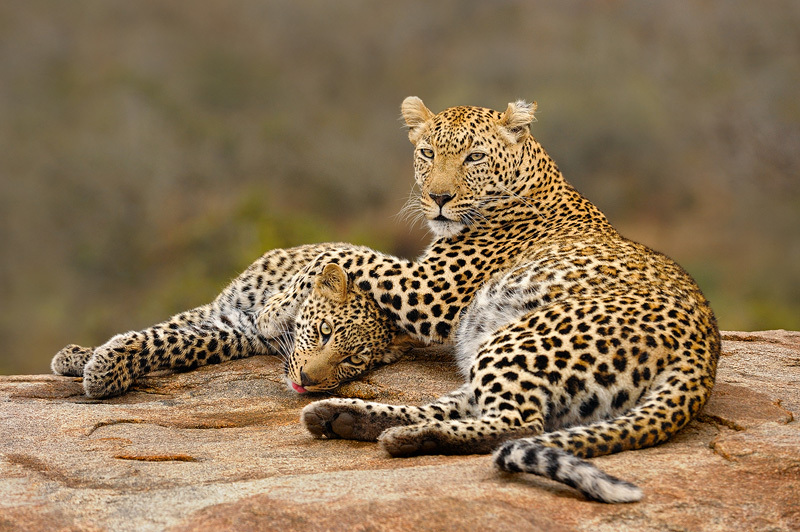 There is no disputing that viewing the leopards of Londolozi is one of life’s truly treasured experiences. And it is exactly the reason that we chose this amazing camp to photograph leopards. It is simply the best. Because we have been organizing photography tour many years now. And we do things differently. This tour is unique – no other company offers you the opportunity to photograph two of the most elusive big cats: tigers and leopards. No big crowds, no queuing behind 30 other vehicles, and more and better sightings than in any other park. Better tiger sightings, and better leopard sightings. And we’re a husband and wife team, two tour leaders instead of one. Our trips attract photographers from all over the world. And from all experience levels. The language we speak on our tours is English.